H: December 15, 2012: I had hoped to head back up to the Salmon river before year's end, but between work and other obligations, it just wasn't in the cards. I did however manage to sneak in a few quality hours on the river with my baby (my new 13-foot G. Loomis NRX 7/8 two hander :), one balmy 40 degree day. I guess that's it for the 2012 season. Highlights include my first bonefish trip to Andros island (Bonefishing in Paradise), first west coast steelhead adventure in the beautiful Pacific Northwest on the Deschutes and Klickitat (Camp Deschutes, Steelhead Sisters, I Heart Oregon), first east coast steelhead trip on the Salmon river in Pulaski, NY (Expect the Worst...), attending my first spey clave, and participating in an awesome spey workshop (The Tao of Spey). Throw in an upclose and personal encounter with the formidable power of Mother Nature (Back to Normal?) and you have a rather unforgettable year! What's in store for this flygirl in 2013? 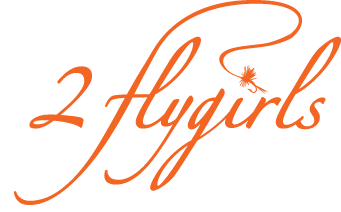 So much is up in the air, in flux... First, regarding this blog: my faithful readers will have noticed that for the past year, 2flygirls has been predominantly the work of just 1 flygirl. I've been fly(fish)ing solo for 7 months now. How long can I keep this up? I guess until it becomes more of a pain than a pleasure (I wouldn't count out the occasional guest appearance by flygirl Josée ;). In 2013, I had hoped to start working towards my casting instructor (CI) certification through the FFF. Well, that's now out of the question unless there's a fair resolution or some positive changes made at the FFF. As for exciting upcoming trips, lord knows I have plenty of ideas—more bonefishing, more steelheading, first Atlantic salmon trip!... But it will all depend on whether this flygirl decides to build her dream fishing shack on local waters next year. There are only 2 things I know for certain (besides death and taxes ;). 1. My new found love for the two-handed rod and passion for spey casting will only grow stronger. 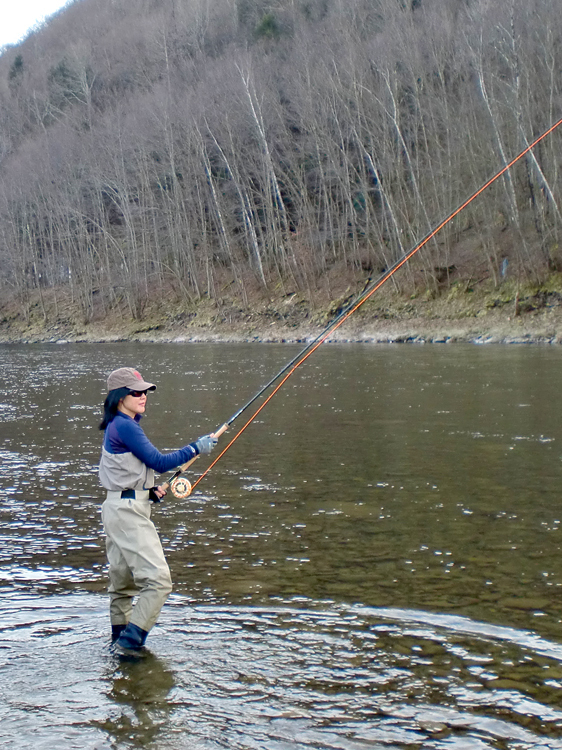 I'll continue to expand my knowledge and improve my skills, learning to cast longer belly lines. 2. I'll be on a river, stream, ocean, flat, or lake, fly fishing every opportunity I get. And hopefully I'll have some memorable fish tales to share. I guess we'll just have to wait and see what 2013 has in store. Until then, I wish everyone a very happy and safe holiday season, and hope to see you next January at the Fly Fishing Show in Somerset, NJ.